Ngataringa Tennis Club is the home of tennis in the village of Devonport, on Auckland’s North Shore. An historic club, established in 1927, Ngataringa nestles in a picturesque corner of Stanley Bay Park with a playground alongside and a beach across the road. 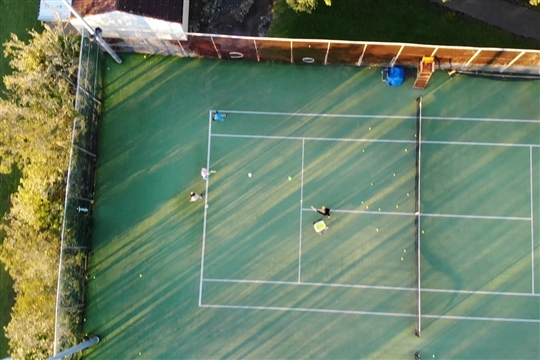 The club has five outdoor courts with synthetic grass, lighting for night play, and offers a range of social and competitive play for junior and senior members. Coaching is a major drawcard to this boutique-style club. The TENNIS PLUS programme, set up by internationally-successful coach and player Gilles de Gouy, is based here with the coaching programme actively led by Ngataringa's Head Coach Lucien Lemay. Lucien and his team of qualified coaches run programmes for all ages and abilities, from pre-schoolers to veterans. Coaching is included in the subscription fee for Junior players, see ‘Membership’ for details. Regular social play sessions include Monday nights hard-hitting tennis for confident players, starting at 7.30pm, Wednesday mornings social play for men and women from 9am, and Wednesday evenings mixed doubles tennis at 7.30pm. Ngataringa fields 15 senior interclub teams, including an elite Chelsea Cup team, and about 10 junior teams. Visitors and new members at all playing levels are welcome.